As Qualtrics works to improve their user experience, that sometimes means removing older functionality to make room for new features and improved security. In order to maintain the highest security standards, promote the safety of our data, and align with industry-wide best practices, Qualtrics will disable the use of Transport Layer Security (TLS) 1.0/1.1 across all Qualtrics services on November 21, 2018. After this date, TLS 1.2 or higher (TLS 1.2+) must be used. This means if you are using an older web browser or 3rd party applications that do not support TLS 1.2+, you will not be able to access Qualtics. TLS stands for “Transport Layer Security” and is the protocol to provide privacy and data integrity between two applications. As the most widely deployed security protocol used today, it is used for web browsers and other applications that require data to be securely exchanged over a network. It basically ensures that your connection to a remote endpoint is the one intended through the use of encryption and endpoint identity verification. 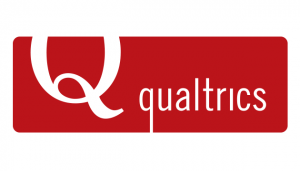 Qualtrics web and API connections, along with applications such as the Qualtrics Offline App and third-party apps, use TLS as a key component of their security. We encourage you to upgrade your web browser to the latest version before November 21, 2018, or you may not be able to access the Qualtrics XM Platform. If you have any problems or concerns about this change, please feel free to contact the IT Help Desk at 214.768.HELP (4357).